Yikes, I had no idea that it had been over a month since my last card. In case you were wondering, I survived the Hawaii bar exam. Results won't come in for another couple of months, but at least the matter's out of my hands now. I was able to do a little crafting the weekend after, and a couple times since then, but I just didn't get around to posting. I'm not sure what order I will post in, but I will make sure I share all the cards I made soon. Here's one I made on Saturday for my Auntie. It's very simple, but allowed me to use some of the new toys I've gotten recently, namely the dew drops, Straight from the Nest cartridge, and a new Martha Steward punch. 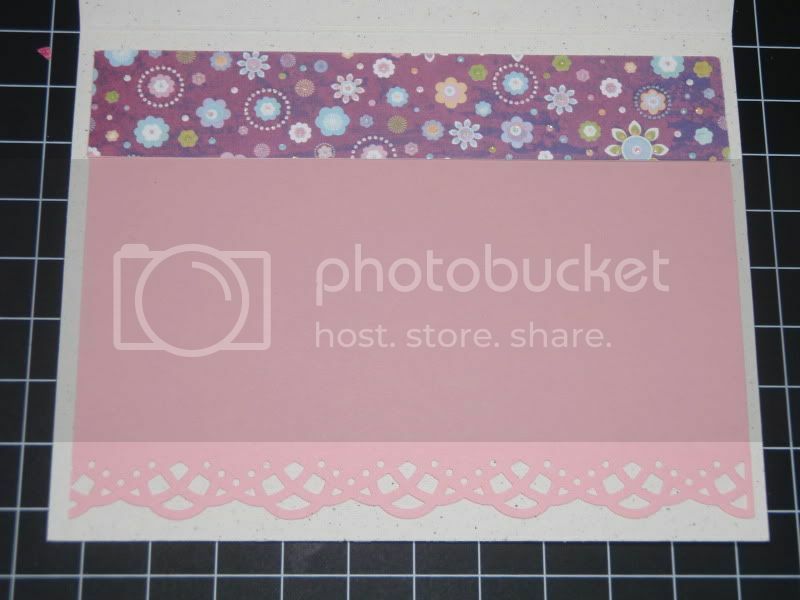 I had a little trouble working with different qualities of cardstock. 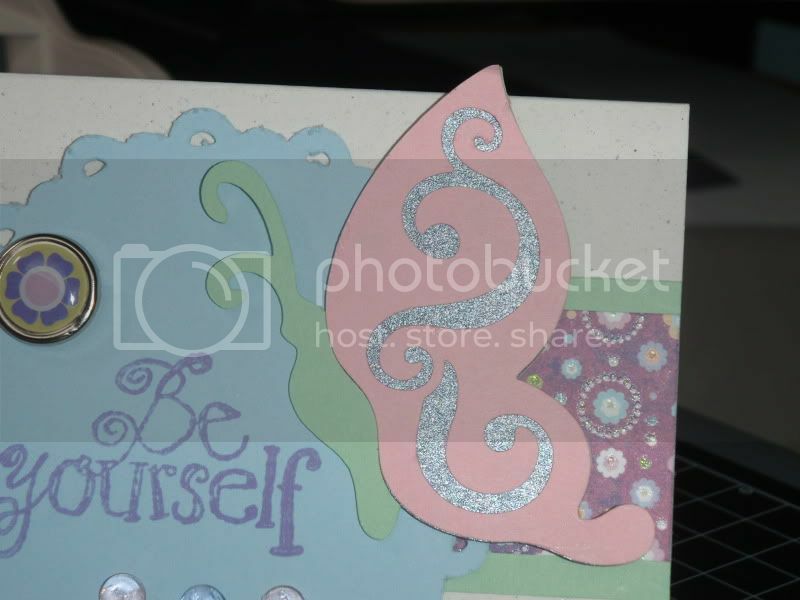 It took me several times to cut the butterfly swirly layer because the thin cardstock kept tearing. 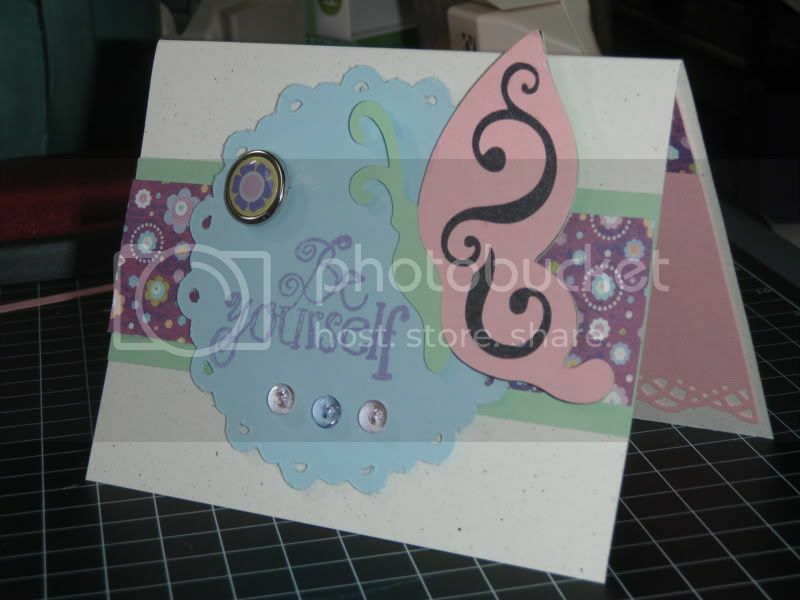 Then when I switched to the thicker blue cardstock, which I believe is Papertrey Ink, my edges weren't clean. I think it might be time to change the black on my Cricut (now where did I put those extra blades...?). Nonetheless, I think it turned out cute enough. 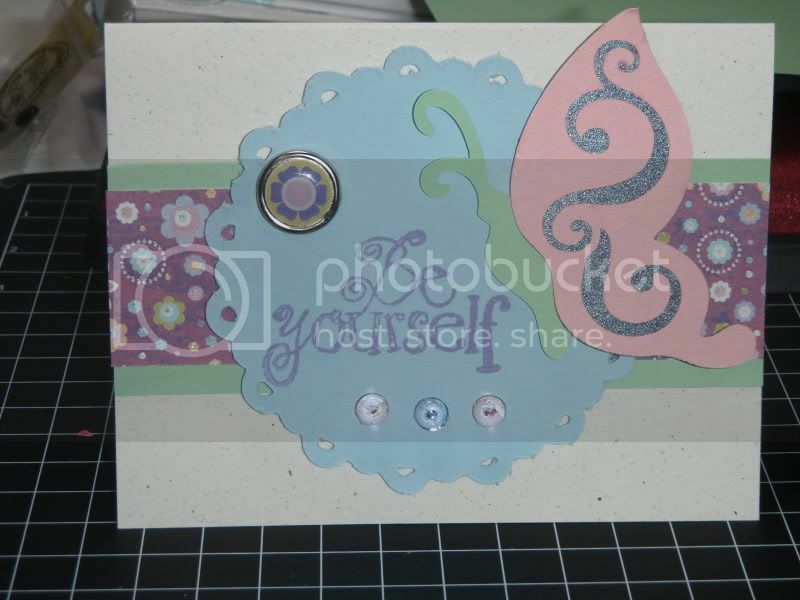 It's an A2 card, and I believe the butterfly is cut at 3.5 and the doily at 3.75".